Uses: Classroom Partitions, Education Colors: Black Lengths: 9 panel 16'-9" Heights: 6'-0"
For some students getting thru the school days mean more than test taking and studying. The day encompasses occupational therapy, physical therapy treatments, and resting centers. In a school that educates many grade levels, a physical therapy space is used consistently throughout the day by many students. The Beacon Academy is fortunate to have an extra classroom for therapy but needed to create student privacy for those needing to rest. 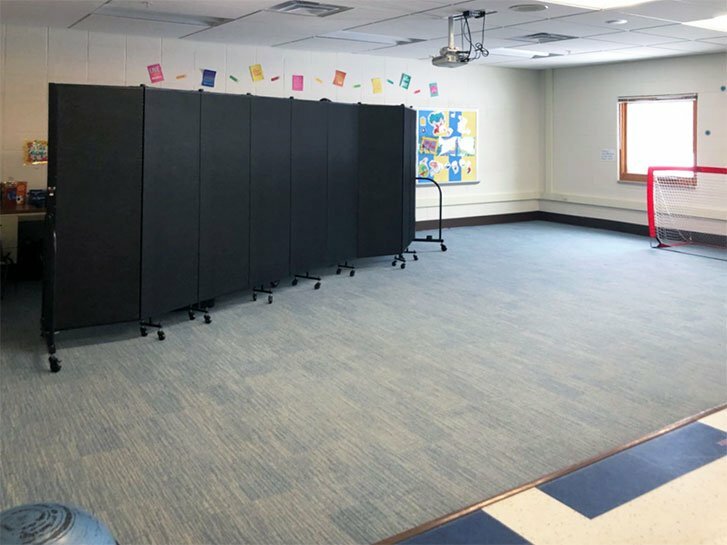 A perfect solution for the schools needs turns out to be a 6 foot high Screenflex class room divider. 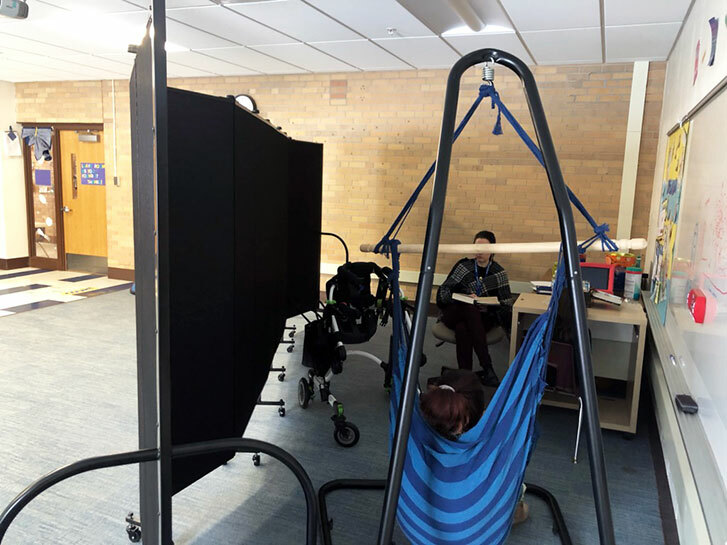 When students need privacy for testing, resting, or therapy sessions, the teacher opens the room divider to section off the back portion of the classroom. The rest of the classroom remains open for other students participating in group therapy. The room divider can be closed and stored in a compact space when not in use.